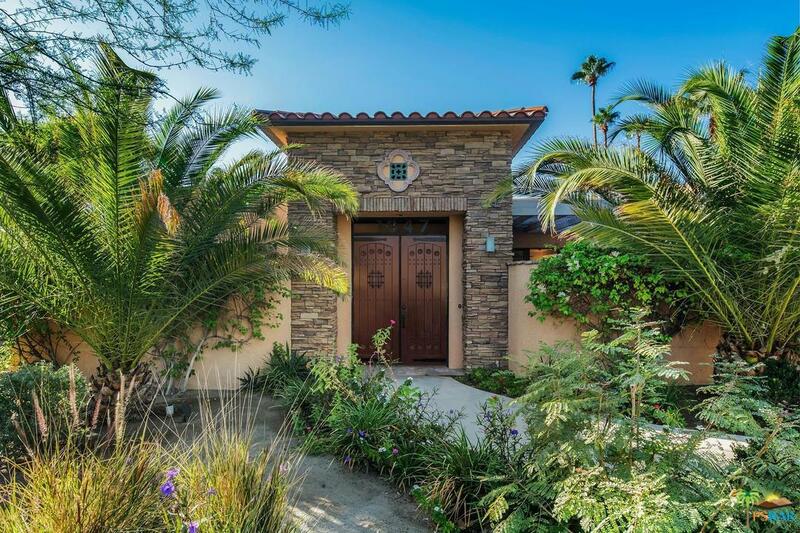 Stylish 1950's home located in the desirable Movie Colony East neighborhood of Palm Springs. This tastefully outfitted property is being sold turnkey furnished to include art, furnishings, stocked kitchen, patio furniture, linens and more per inventory list. Property is equipped with a solar system, presents approx. 1,808 square feet of living space, three bedrooms, two baths, kitchen with breakfast nook, dining-living room combination with fireplace and entry. Natural light is abundant thought-out the home. The resort-style outdoor living space is embellished with lush mature vegetation, spectacular mountain views, cover patio, rectangular salt-water pool and hot tub. Vacation rental information available upon request. This home is a true desert GEM!